Jared Sato has multiple areas of expertise, endless dedication, and shares his many years of experience in the fitness & health industry with the studio. Jared strives to encourage, educate and empower his clients; he’s easy-going yet thorough, and very hardworking. During sessions with Jared you are sure to have a laugh, work hard but efficiently, gain a little knowledge, and emerge rejuvenated and energized. He is committed to supporting you however you choose to pursue a healthier life. He also believes in continual learning and stays on top of trends and concepts relevant to your fitness & health. 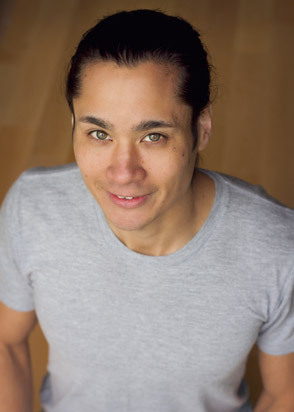 Whether you choose traditional personal training sessions, “the Way” of martial arts (Jared is a 3rd degree black belt in Renbukai karate and 2nd degree black belt in Ryūkyū Kobudō), a yoga practice (Jared teaches Hatha/Ashtanga/Yin yoga), or a balance of all three, Jared never ceases to burst at the seams with enthusiasm and belief in his clients. 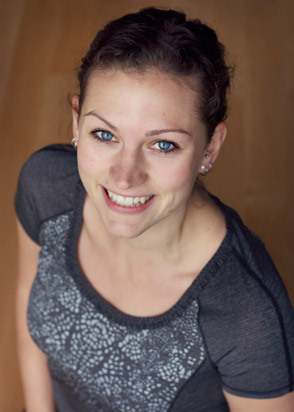 Sophie Simard, a friendly face often behind the scenes at Ki Fitness & Health, also brings services to the collective. She is a registered Yoga Therapist and instructor of yoga. With a background in Women’s Studies, social justice, work and volunteer experience with adults and children with extra-needs, she brings you grounded and clear instruction in yoga. She values diversity in her classes and clientele, and warmly welcomes people from all walks of life to join her in exploring yoga. Her teaching inspirations are in the hatha, ashtanga, yin, and yanumoja yoga styles. Sophie’s dedication to life-long learning will ensure you get a good stretch and likely food for thought on the side. With Sophie, you are certain to feel her pulsating energy and enthusiasm, leaving you feeling pleasantly energized.